Happy New Year! 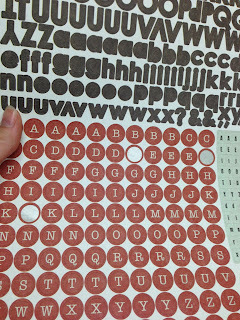 Apryl here today sharing my first project of the year with Fotobella's Design Team. My first bundle of the year is Basic Grey's Carte Postale. A great collection to memorialize all of your travel adventures this past year. When I travel I'm always picking up little things along the way that I can scrap later with my photos. 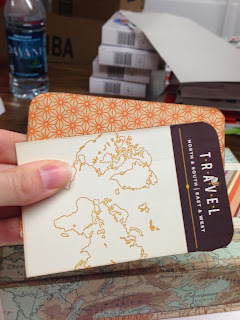 My little trinkets usually include tickets, fun coins, business cards, matchbooks, etc. 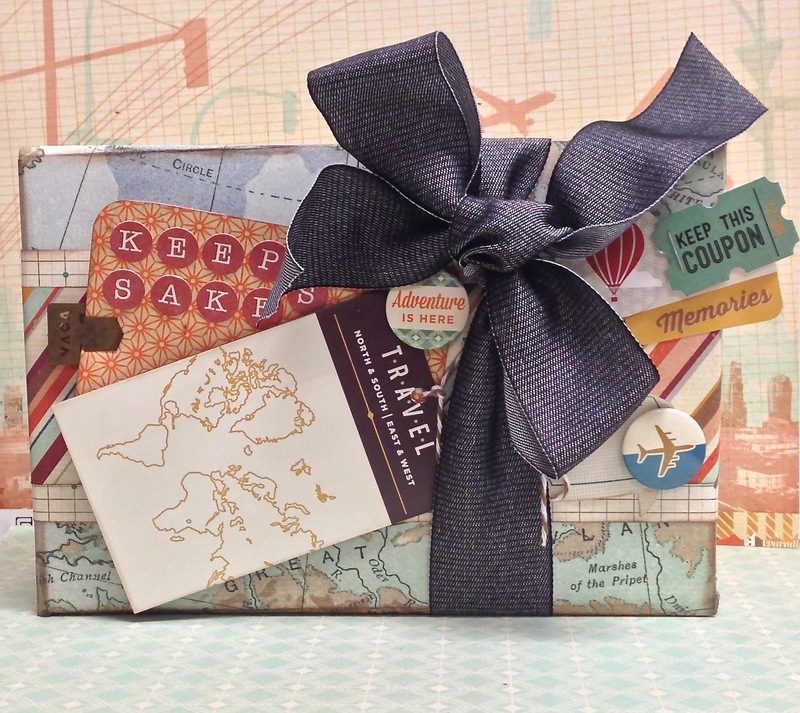 I thought it would be fun to create a keepsake box to keep those great travel trinkets. I found the perfect box for my project by going through our Christmas aftermath...(aka trash!) The iPad Mini box fit the bill! It's a nice, sturdy box. Here is the Carte Postale Collection and all it's goodies I had to choose from. I chose the Michigan Avenue Paper to cover the inside of the box. 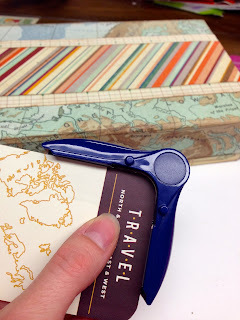 To cut the paper to fit your box, place the box on the paper, and cut as I did here to allow the paper to be easily folded and fitted to your box. 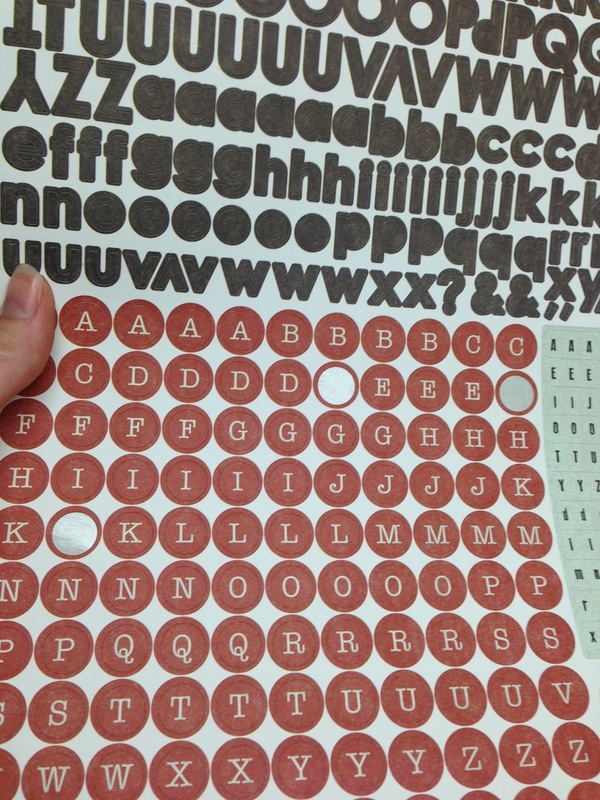 Once your paper is inserted, glue all the sides down. Cover the outside of the box with paper that is cut to size. I used the opposite side of what was left of the Michigan Avenue paper. To cover the lid, I chose the Sunset Blvd. paper, and followed the same steps that I did for the inside of the box. Once the lid was covered, I ran a brown ink pad along the edges. To begin embellishing the lid I cut two strips of paper out of the Fremont Street paper. One strip larger than the other and then layered on top of one another. I then glued the strips to the lid, folding the paper over the sides of the lid. I made a couple of tags out of stickers and paper and tied them together with baker's twine. Using the alpha stickers, I put "Keepsakes" on one of the tags. The rest of the embellishing was done with the Element Stickers, Flair, Metal Tabs and Page Flags. I tied a denim ribbon around the box. And there you have it, a nice keepsake box to store away all those fun travel treasures you have been collecting. Stop by Fotobella to see all the great pieces in this collection and stay tuned for more fun travel projects I'll be sharing. 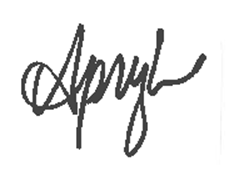 Apryl This is amazing... LOVE it. This is a wonderful idea. I travel a lot and will try this. Such a great idea! I love it all! !